First Days is the award-winning publication of the American First Day Cover Society. 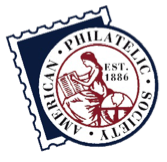 Published in full color six times per year, the magazine is filled with articles and features covering all areas of FDC collecting to enlighten beginners to advanced readers. Want to see a complete issue? Click this link to download the entire May-June 2015 issue in PDF format. Article Index - You can download, save and print these indexes of articles published in First Days through 2003. The Adobe PDF documents are searchable by keyword. Digital Archive - You can own an electronic copy of every issue of the magazine from 1955 through the end of 2017. Details here. Back Issues - Printed back issues of First Days are no longer available.